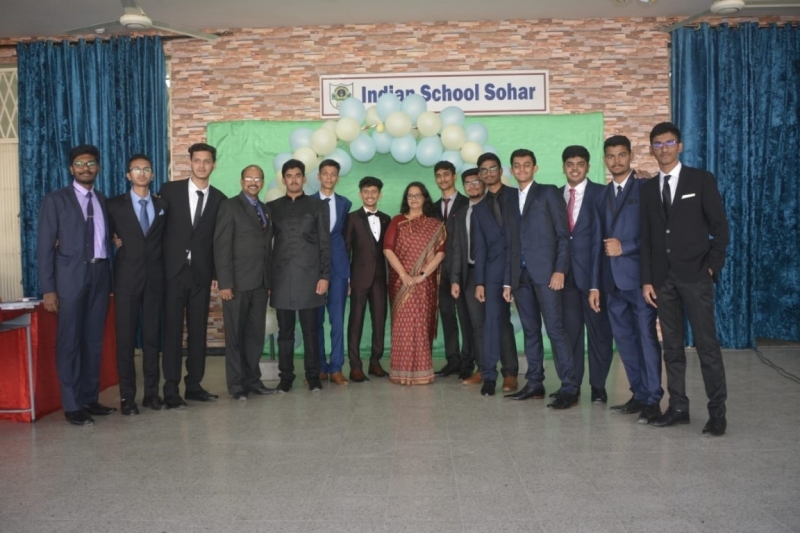 A farewell party was hosted with fervour by class XI students to bid adieu to the outgoing class XII students in the new recreation Hall at Indian School Sohar. The day was a fiesta devoted to the years spent together with friends and teachers and an occasion to look back and reminisce joyous moments that they spent in the School Campus. The programme got off to a start with a prayer song followed by a farewell song. Then the outgoing students were offered flowers and the hall was set ablaze as they were ushered in for the chief attraction of the show, the ramp walks for the most coveted titles, Mr. Eve and Miss. Eve. 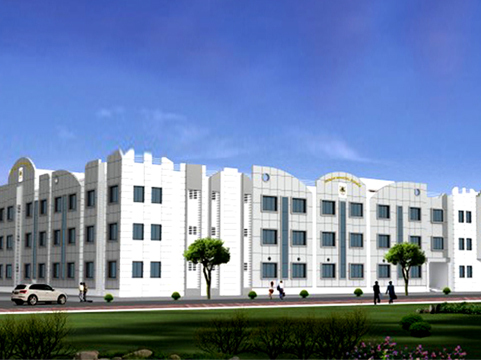 The Principal lighted the lamp as a symbol of the light of education that removes the darkness of ignorance. Students of class XI performed an array of scintillating dance performances and pulsating band performances dedicated to their seniors. Tanya Babu, Astha Patel and Akansha Patodia delivered speeches on behalf of the students Std XII A, Std XII B and Std XII C respectively. Their speeches were heart touching. They recounted their school experiences in emotional and nostalgic overtones. Through a power point presentation, the Principal, Vice-Principal and other teachers expressed their deep love and wished the students welfare and advised them to prepare themselves to be worthy and successful humans serving humanity at large. A few interesting and tricky games were played to pep up the environment and they served as a medium for fun and entertaining competition. Principal, Mrs. Sanchita Verma, in her thought provoking speech bidding farewell to them with a heavy heart, hoped that they fare well in life. 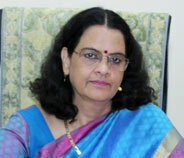 She presented each student with a memento and awarded the various title winners and the winners of the game. Rahul Khatav and Astha Patel were declared Mr. and Miss ISS. Navneet and Sakshi Patel won the titles of Mr. and Miss. Eve. Class XI students adjudged Rahul Khatav and Kavya Gupta as Mr. and Miss Popular. 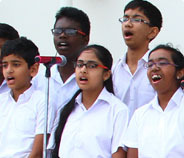 The students who won the various games were Aakarshee Jain, Amrutha, Suman and Seby. Finally, the Principal along with the teachers and students released the bunch of balloons bearing best wishes for the outgoing students in to the blue. The day was great, filled with nostalgia, fun and excitement!